The great thing about VR is how versatile it already is across the multiple different devices. You’ve got seated VR experiences at a PC and desk, motion controllers, full body suits, room scale sensors, peripherals that enhance your sense of presence and immersion, and pretty much everything in between. 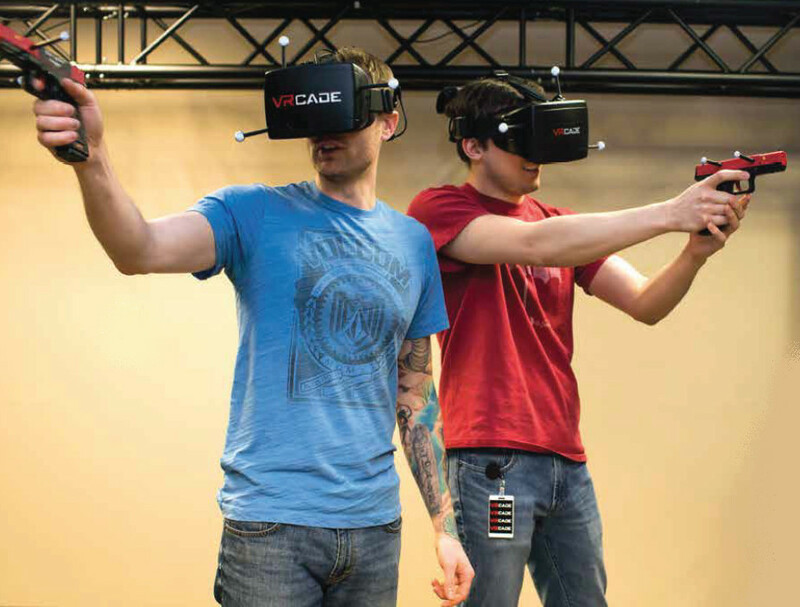 On the extreme far end of the spectrum are large-scale VR arcades, like Hub Zero, that allow players to interact and enjoy VR games in a large environment. It’s not the kind of experience you can easily replicate at home by any means, but it is the kind of experience that people will remember and get excited about. Along those same lines, VRstudios, the company that’s behind titles like Time Zombies, is partnering up with Denmark-based SmartLaunch to create family entertainment centers focused on delivering wireless VR experiences across the globe. What’s most interesting is that this company, SmartLaunch, is actually renowned for its influence in the esports space, as they describe themselves as the “global leader in software management systems for gaming centers and esports arenas.” The applications for VR in esports seem obvious – there is huge potential to further blur the line between game and reality with physical activity – which could make esports in VR more like real sports than ever before. When I asked Charles Herrick, CEO of VRstudios, about the potential of esports in VR, he agreed, stating that, “VR offers a huge and unique opportunity to create e-sports events and games that have yet to be imagined.” While their most well-known game, Time Zombies, is a relatively basic zombie shooting game, they have much larger plans for the centers in development with SmartLaunch. While it’s unclear exactly where these new locations will be established, the mere fact that VR entertainment centers like this are gaining in popularity is a very good thing. Presumably, the United States and Denmark make sense as two potential countries that could receive new facilities, but that’s unconfirmed. Now it’s just a matter of time to wait and see what types of experiences VRstudios are cooking up for players.